I may have mentioned before that we really like cherries over here. The guys that I usually purchase cherries from at the Alemany Farmer’s market said that they will linger around only one or two more weeks at best. I may have also mentioned I have a serious fruit-buying problem. Deadly serious. I have only been home for two Saturday farmer’s markets since returning from our trip and I have bought three flats (yes, about 36 overflowing baskets) of organic strawberries and a whole lot of the first peaches, plums, pluots, and apricots. But last week, the Bing cherries looked so good that I decided to get a whole box of organic cherries. I expected a really steep price for such a huge box of lovely organic cherries. 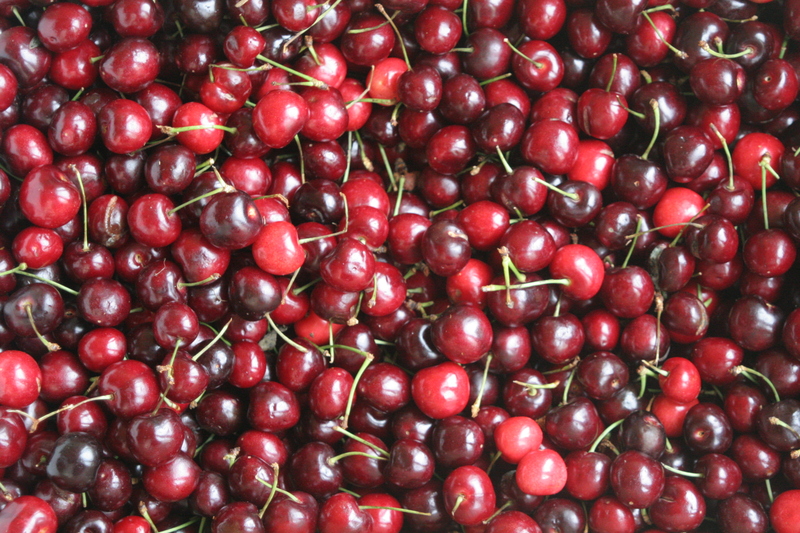 They were selling smaller quantities for about $2/lb, which I considered to be a pretty great deal (considering that the San Francisco Ferry Building market has vendors selling non-organic cherries for $6/lb…seriously! ), but when I asked how much for a twenty pound box and they said $20, I could not keep my poker-market face. “Sure,” I responded trying not to seem overeager at the amazing offer. Candy some for later. Freeze some with pits for pit-in desserts like clafoutis and freeze some after pitting for cobblers, cakes, tarts, and pies. Use the pits for cherry pit ice cream. Make pastry cream tarts with fresh cherries and cooked frangipane tarts with several-day old ones. Make cherry muffins or scones. Or funky preserves with crazy add-ins like cherry pits/almond extract, lemon verbena, or candied lemon rinds. Did you know you can pit cherries with this? 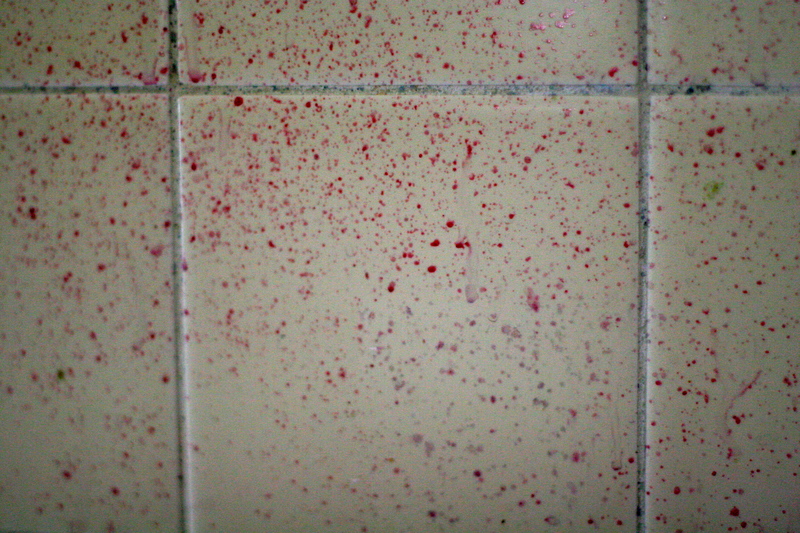 But that the walls of your kitchen may end up looking like this? To make my preserves, I pitted 10 pounds of Bing cherries, but I used a wonderful method that I have done twice now with my strawberry preserves. 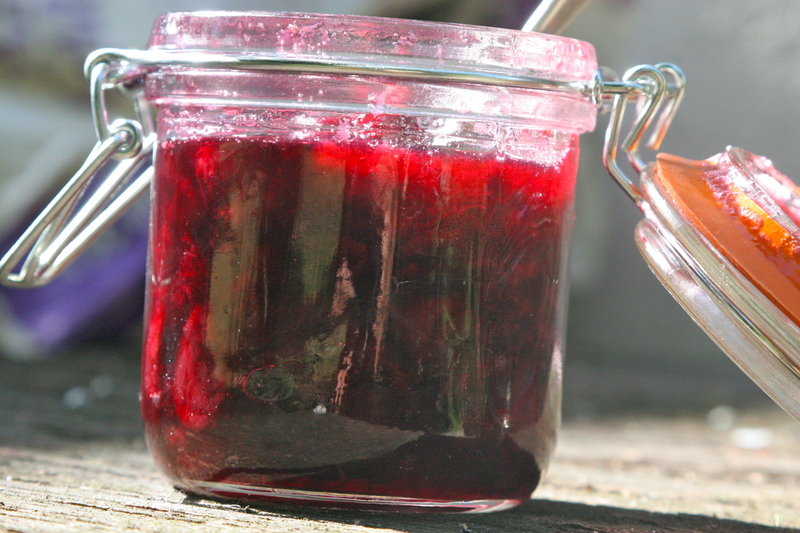 The key to really fresh-fruit preserves and a bright jewel red color is minimal cooking time. Just as overcooked vegetables turn a dingy color, so do the fruits in an overcooked jam. To acquire a perfect, no pectin-added, cherry preserves, you need either tart apples like Granny Smith or Pippin, or lemons. If you don’t mind a runnier preserve do not bother with either. Next, I have found that you need to add the cherries to high heat sugar so that they keep their gorgeous color without muddling. To do this I follow my favorite strawberry jam trick, which is to make a very hot simple syrup and let it bubble away before tossing in the fruit. Pit as many cherries as you feel like pitting. 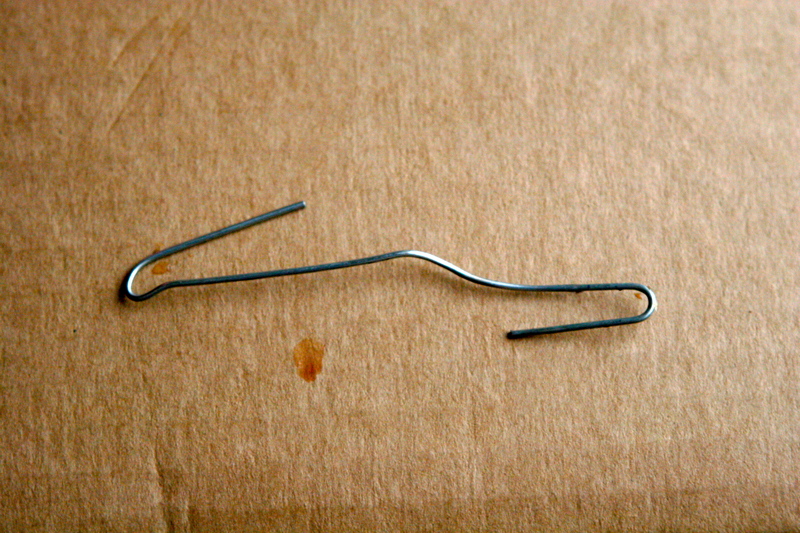 You basically open up a medium or medium-large paperclip (if you do not have a fabulous cherry pitter like the OXO one that my husband brought me mid-pitting, awwww). Hold the large side in your hand and push the smaller side straight up the middle of the cherry, starting with the side the stem was on. 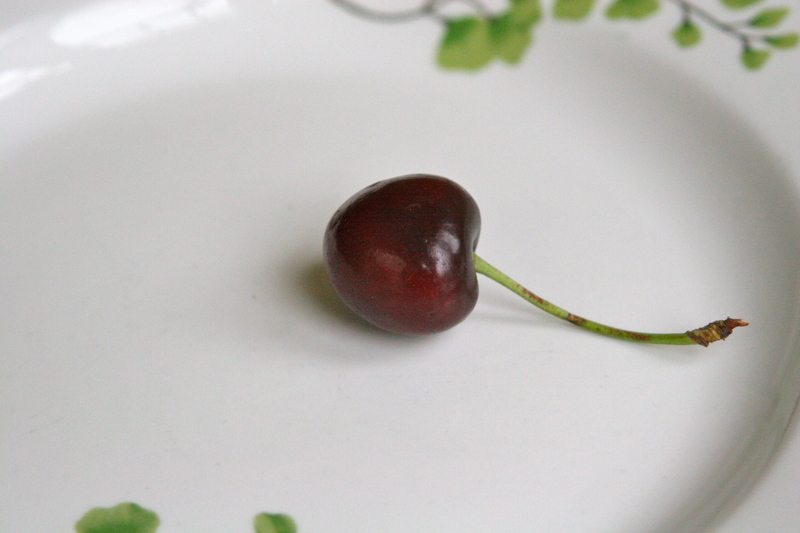 It only makes one hole in the cherry so if you want to cook a tart you can place the cherries hole side down. We have already spooned this into plain yogurt for a decadent breakfast and lunchtime treat and smeared it over my new favorite homemade multigrain crumpets. I am thinking about making a gateau basque with these or swirling them into a caramelized white-chocolate ice cream. 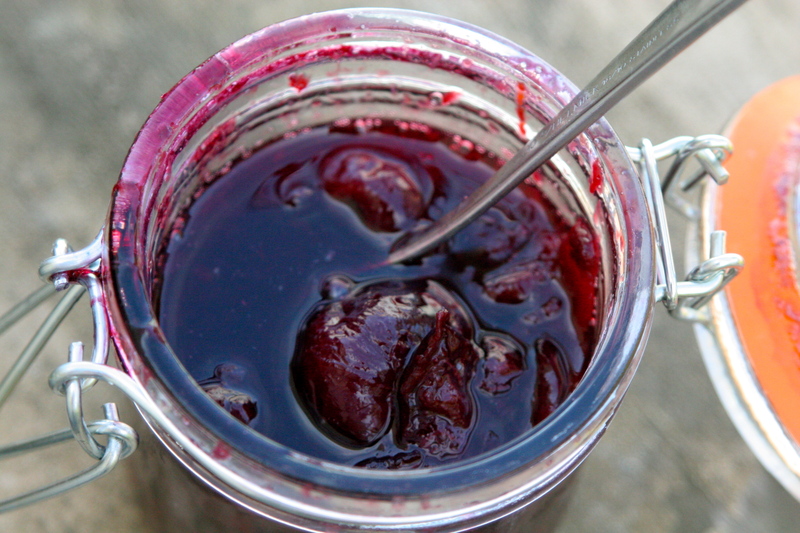 I only urge you to sour the cherry preserves up a bit with a substantial amount of either lemon juice or even some apple cider vinegar (as you would with apple butter) to balance the intensity of sweet cherries. This is a very tasty, very special spread. Prepare ahead: Put a small plate in the freezer. If you like a more uniform cherry preserve, you can cut up some of the cherries before adding them in. Gently stir the sugar and water together in a large heavy-duty pot (I like my Le Creuset monster for this) and cook on medium-high heat. Make sure the pot is much larger than you expect you will need because the mixture will double in height as it bubbles away. Once you see the surface of the sugar-water is covered with bubbles, carefully add in all the cherries (and the lemons and/or apple slices if using) and stir completely with a wooden or silicon spoon every two or three minutes until the cherries give up their juices. Add the lemon juice if you didn’t use the lemon halves. Once the pot has turned to liquid, cook another 20 minutes, stirring the mixture every 5 minutes and scraping the bottom so that nothing caramelizes and burns, which ruins the flavor of the preserves. (If, however, this happens, just do not scrape the bottom into the preserves. Simply pour the jam into another pot and keep cooking.) Once the temperature of the jam registers 210F degrees, take a little spoonful and put it on the frozen plate. Let it sit for 2 or 3 minutes and see if the jam is the consistency you like. I tend to prefer strawberry jam at 210F degrees, but I like to cook the cherry jam closer to 220F to thicken it up a bit. Remove the apple slices and lemon halves, if you used them. Pour into sterilized jars according to manufacturers’ directions. This jam will keep for several weeks in the fridge, or you can freeze it, or can them, which is really easy to do. This entry was posted in Cherries, Jams & Preserves, Vegan and tagged cherry jam recipe, cherry preserves recipe, Perfect cherry jam, pitting cherries with paperclip, sweet cherry jam with lemons. Bookmark the permalink. So many great tips in this post. I had no idea you could pit cherries with a paper clip. Genius. I also recently bought myself a cherry bounty and have been pickling them. Stunning addition to cheese plates or to top crostini with ricotta. Sweet and savory at it’s finest. Thanks. What are you pickling your cherries with? Are you doing something similar to Asian salted plums? Finally made my jam this afternoon. Thanks for the perfect recipe for these taaaaaasty end-of-season Bing cherries! I did 18 jars of another jam this weekend and still have cherries left. My boys love jam so I came across your recipe. As i have no pectin in the house at 6 pm and want to make another batch I am going to make this and will report my results asap. thanks for sharing. hi i’m a newbie at jam making so bare with my question you say 3.5 lbs is that before or after you’ve pitted and stemmed the cherries please? Hey there. Hope I am not too late for your jam. Honestly with only 3 and a half pounds it doesn’t matter too much because ultimately it will depend on how sweet your cherries are when you figure out how much sugar to add. My recipe calls for the fruit pitted, but you should put a plate in the freezer while you are making the jam. When the jam has cooked sufficiently spoon a little hot jam on the cold plate and then taste it. You should see the approximate thickness of what the cooled jam will look like and you can decide if it is sweet enough for you. Let me know how it goes!